The music of ether restores your faith in the power and creativity of rock music. 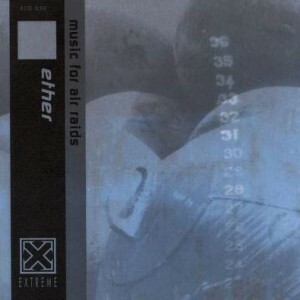 Their first album for Extreme, “Music for Air Raids”, is also their most outstanding sonic statement to date. With the backing of two drummers, this Salt Lake City outfit has defied the boundaries of rock music and experimentation. They have also defied expectations about the type of music that could emerge from the home city of the Latter Day Saints. Ryley Fogg, who formed the band after some time with Alan Sparhawk of Low, has a distinct vision for ether that embraces the energy of rock and the cinematic soundscapes more typical of the nearby Sundance Film Festival. The other musicians in ether hail from diverse and mostly unknown backgrounds. What unites them is a commitment to giving each performance their all and daring to explore the boundaries of rock music. 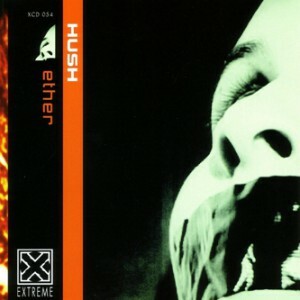 The popularity of ether, since its inception in 1994, has been more about their live performances than their recordings. “Music for Air Raids” is set to adjust the balance by combining the excitement of their epic concert achievements with the sonic fidelity of the studio. “Music for Air Raids” is the type of album that will make you want to take up an instrument and join in. It might even have you wondering what else is happening behind the tabernacles.